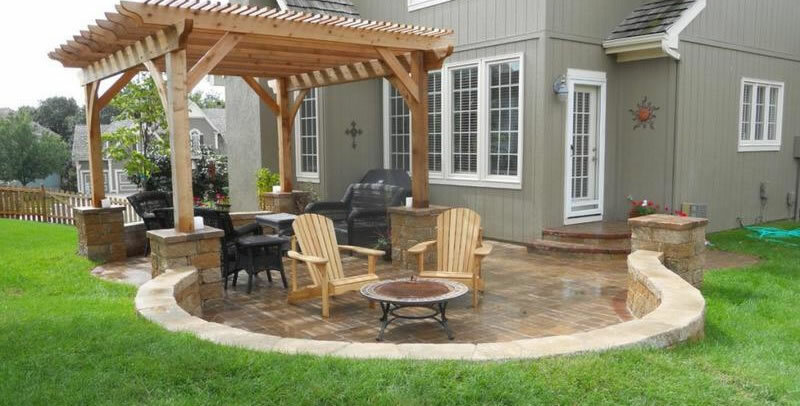 Hardscapes Include Pergolas, Patios, Seat Walls And More. 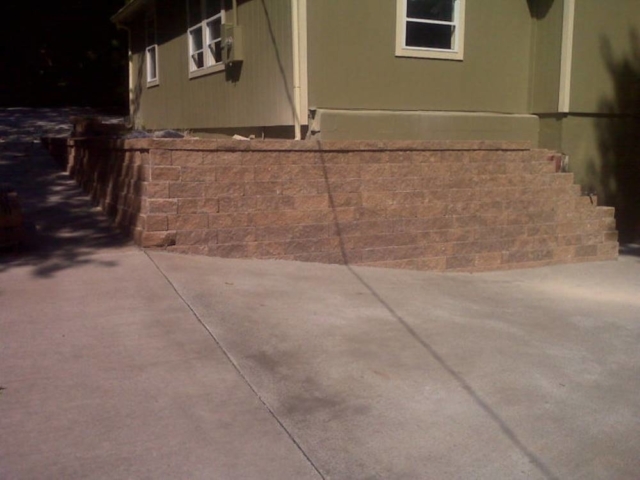 We build patios, driveways, retaining walls, and more. 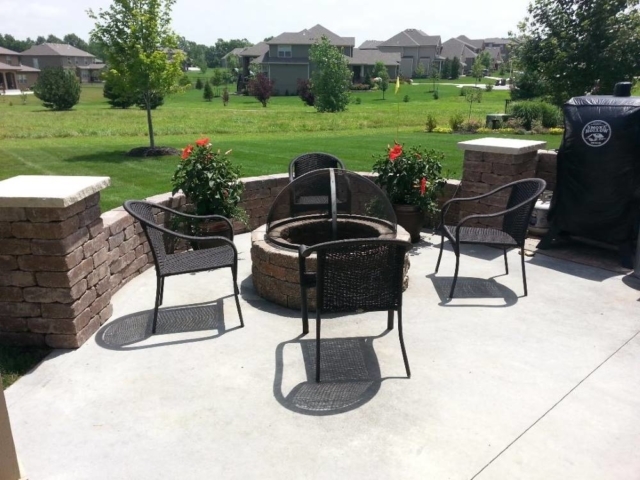 Most landscapes incorporate two main elements. These are hardscaping and softscaping. 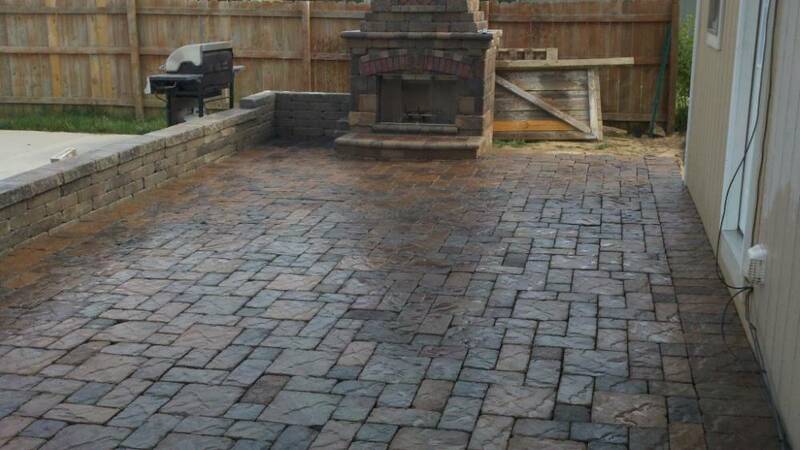 Hardscaping is all of the “hard” or permanent man-made elements in your landscape such as a concrete or paver patio, a walkway, a retaining wall, or an outdoor living space. 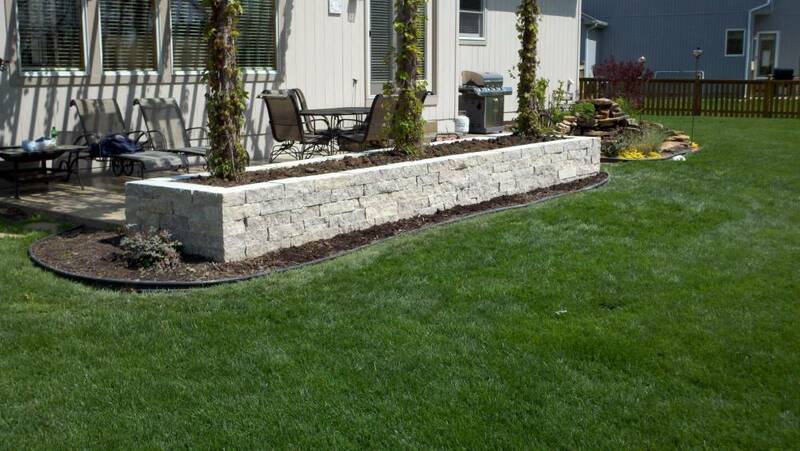 Hardscapes are generally more expensive to install but they also require less maintenance than a softscape. 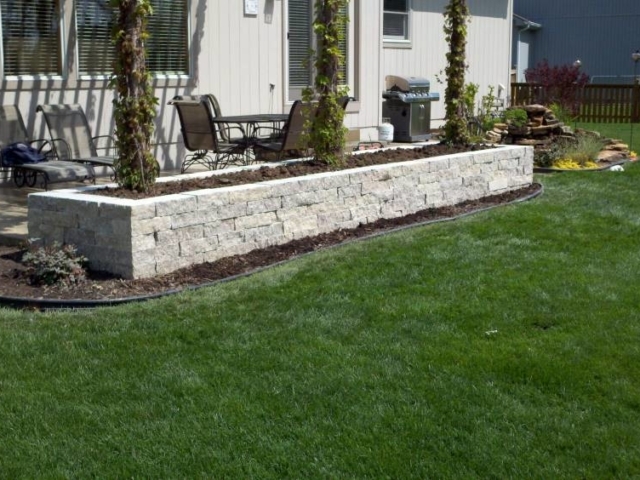 Why Do You Want Hardscaping In Your Landscape? 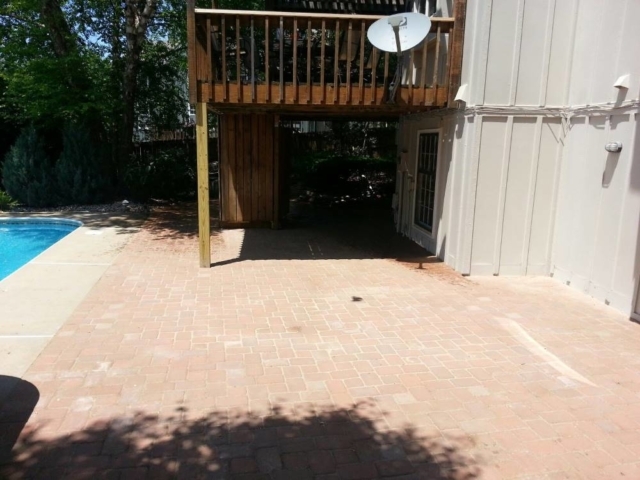 Do you want to reduce maintenance time and cost? 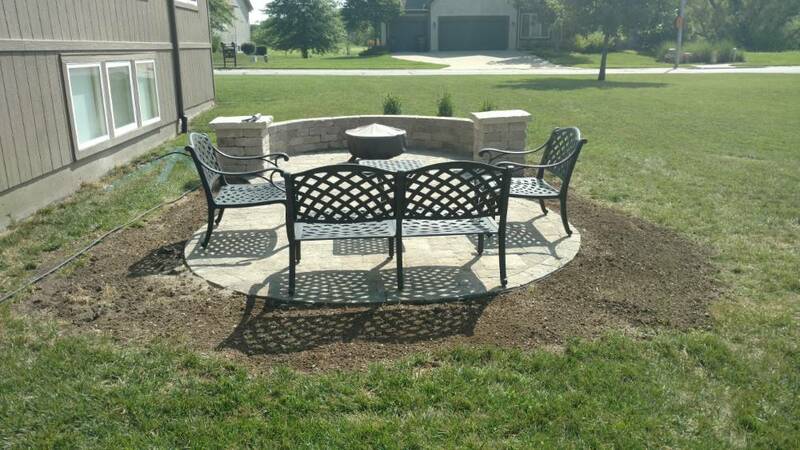 Do you have an existing hardscape that needs replacement or repair? Do you want a nicer space for your outdoor living lifestyle? 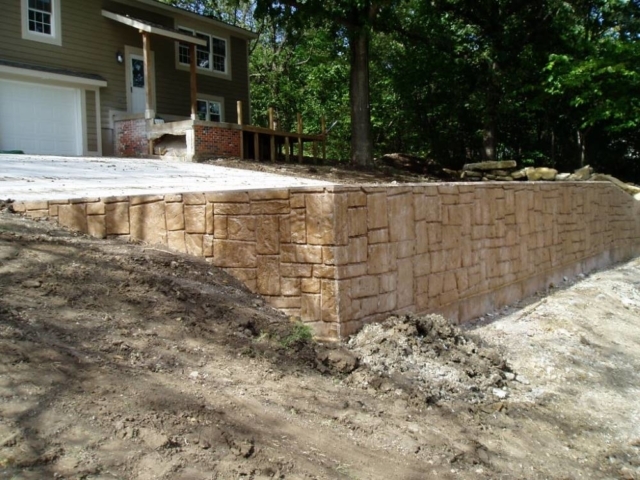 Would you like to build a retaining wall to prevent erosion? Green Acres Lawn & Landscape is a licensed and insured Kansas City landscaping company that specializes in hardscape construction. 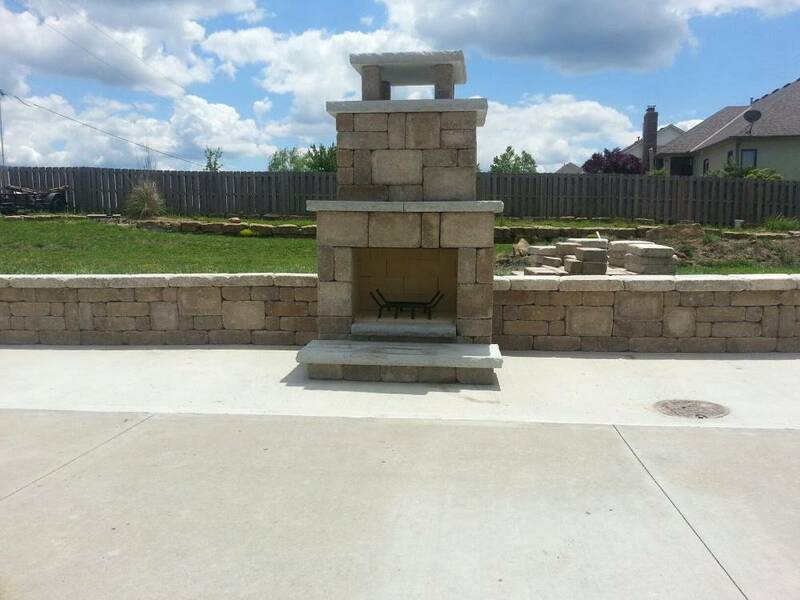 We specialize in designing and building hardscapes for both residential and commercial properties. From a retaining wall to hold back a slope or prevent erosion to a new concrete or paver patio, walkways, pathways, or even new driveways we can build a beautiful, low-maintenance hardscape for your property. 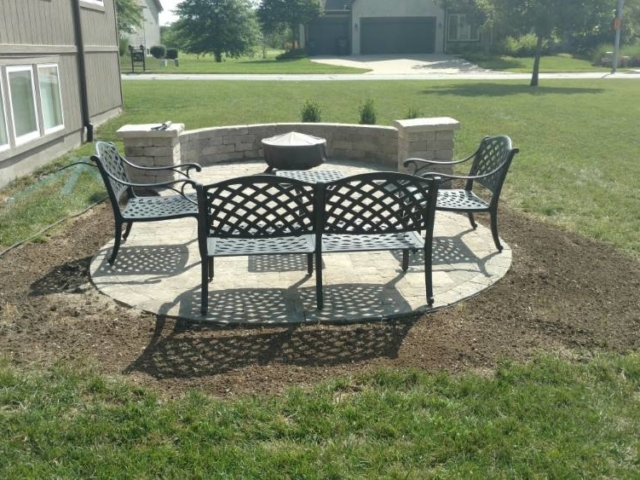 A well designed and constructed hardscape is an integral part of any landscape design. 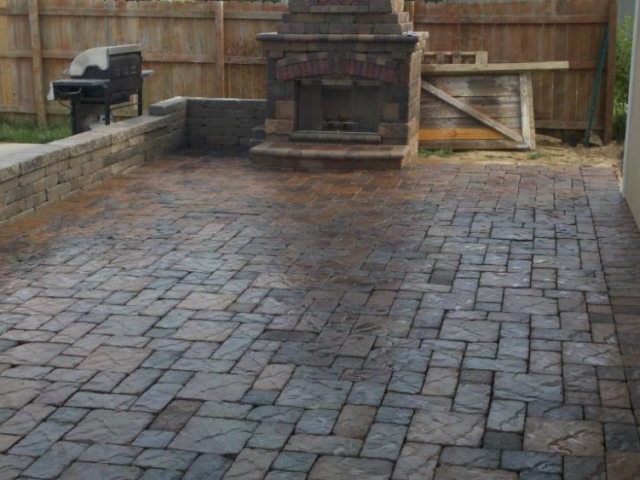 Your hardscaping provides definition, separation, and organization to the natural areas and features of your landscape. 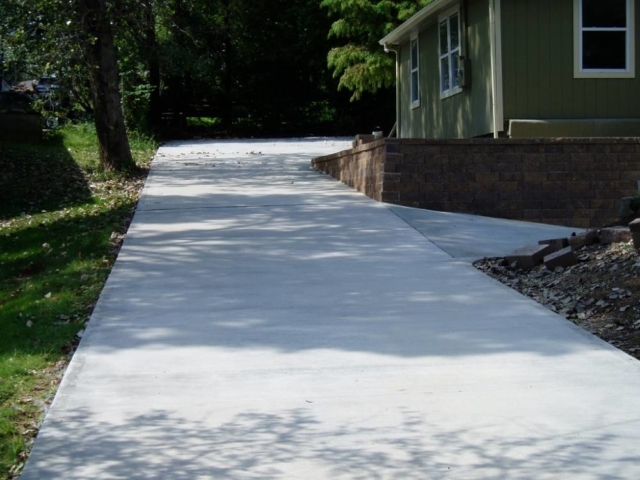 Hardscape elements define how you use your new space, such as with a driveway that leads a visitor to your home, or a pathway that can lead visitors through different areas of your landscape. 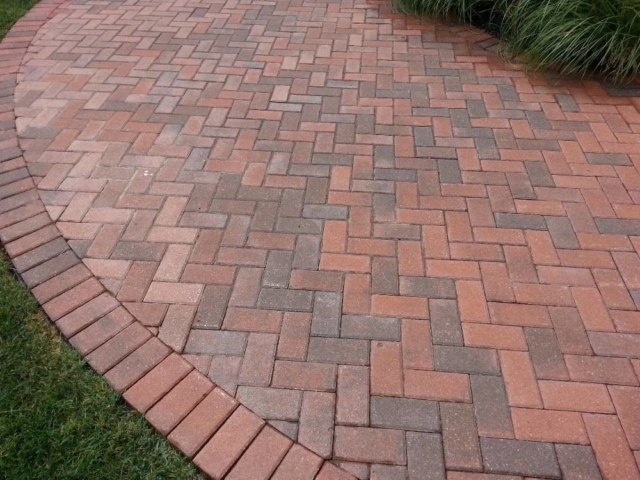 There are so many ways to implement hardscapes into your landscape design. 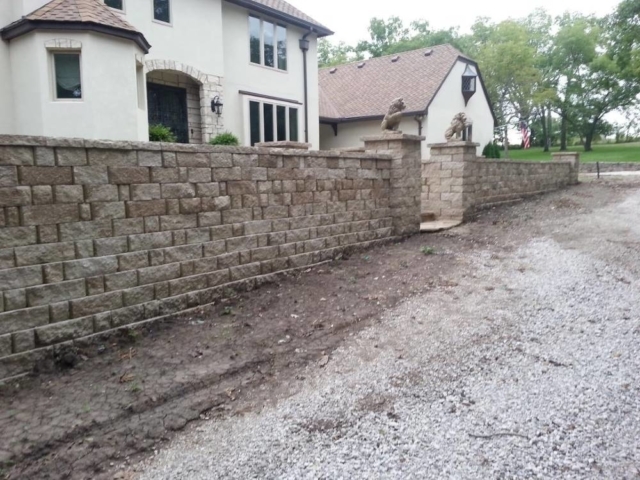 If you’d like to get the hardscape installation and construction process started then please give us a call (913) 422-5111 or fill out our online contact form and we’ll get back to you right away (usually the same day).